Are you among those who leave nothing to chance? Are you the one who always prefer staying ahead of the curve? If your answer is YES…then PersonalFN’s Comprehensive Financial Planning Service is something you should definitely look at. We believe that financial planning is a journey that must be mapped out meticulously. While no one can predict exact events in the future, a thoroughly optimized financial roadmap will prepare you for contingencies and keep you on course towards the attainment of your financial goals. Our Comprehensive Financial Planning Service is designed which might help you achieve these goals, at the right time and with adequate peace of mind. Wondering what’s so special about this one? Finalization of investment plan after thorough plan presentation and approval. Analysis and general advice for your existing insurance policies along with fresh recommendations for life and health needs are covered. Lifetime cash flow analysis is done and savings are mapped to goals in line with their priorities. The Comprehensive Financial Planning Service is not just another run-of-the-mill service to fine-tune your investments. Consider it to be the yearly maintenance of your vehicle. It is a necessity. We delve deep into the engine, service each component and whip all irregularities into shape. In order to optimize your wealth-building efforts, you need a financial guardian, a trusted adviser to guide you along the way to a secure future. You need unbiased recommendations to help you pick the healthiest saplings which will then collectively bloom into an orchard of wealth. With all due humility, we lay the claim to be among India’s most trusted wealth advisers. For the last 18 years, we have been the guiding force behind the wealth-building journeys of financially responsible individuals. Unbiased advice on the basis of thorough research process. It is always a pleasure to read all articles posted by PersonalFN which are very informative, clear and concise to the point. During the creation of my financial plan, the team was very responsive, attended to my concerns and clarifications very well. Overall very happy with the service provided to me by PersonalFN and would definitely recommend it to anyone. I researched the services of a CFP and zeroed in on PersonalFN. I found the Wealth Adviser from PersonalFN very helpful, attentive, and easy to understand. He was open and honest and suggested products to me without any ulterior motives attached. Using the income and outflow, PersonalFN showed me how I can reduce my liabilities and build my insurance, contingency, leisure and retirement portfolios in a structured and sustained manner. It is definitely an organization I would recommend to my peers and family. I was able to get proper information and insights into various available investments and align/ allocate funds accordingly. The Wealth Adviser from PersonalFN has been extremely helpful and efficiently been able to guide and answer all my queries effectively. Thank you and will definitely recommend this to people I know. 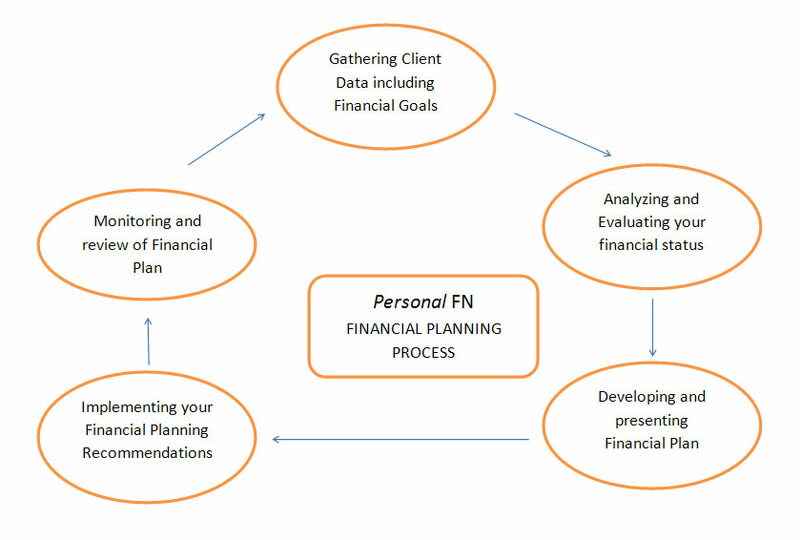 PersonalFN developed a financial plan that is tailored t my individual needs. The consultant dealt with me was happy to discuss the needs in details and debate the as it was being developed. Their approach is professional and thorough. The name of the service "Comprehensive Financial Planning", I think, is being fulfilled. I have recommended the service to some of my friends and am happy to recommend PersonalFN. I was a complete novice at finances and hence took up this financial planning service to secure my daughters future. The service has been an eye opener to say the least. It gives us a complete picture - of our present, past and future finances and is very well structured. My financial planner was very supportive, adaptable and patient to hear me out and offer relevant suggestions making changes if required. He took time out to explain why we needed the recommendations and to have a customized plan to our needs is just what we needed. Thanks a lot for your unbiased and knowledgeable research it is most appreciated. In fact I ended up learning so much that seems like I attended financial 101 classes. Thanks & well done Personal FN!! As always, our strategy is based on your goals. We develop a unique asset allocation strategy that aligns with your individual financial goals. All recommendations are synchronized with your risk appetite and investment time horizon. Looking to fulfil 5 goals in the near future? Perhaps 15? The number is irrelevant. Our comprehensive plan covers an unlimited number of personal, wealth and accomplishment goals. If you’re in Mumbai, we provide up to 3 meetings with an investment expert. Once you decide to renew the subscription next year, we offer a great discount. We offer something that you’ll find in very few financial planning services. In this day and age of countless insurance policies, how do you know that you are optimally insured? What we offer is a review of all your life and health insurance policies. We’ll recheck their features and suitability for you and offer you our unbiased recommendations and plan of action for each of them. Many investors prepare for retirement by putting money in retirement plans or fixed deposits and work with their financial adviser to come up with a plan for retirement. But how do you allocate the wealth that you've amassed to help get you through retirement? How will you ensure that you have enough cash flowing in to take care of your retirement needs? Creating a comprehensive financial plan to live a blissful retired life is an important exercise for all investors. With our experts, planning out a cash-flow analysis guides you to live out your golden years in joy, you needn’t worry yourself unnecessarily. All elements of the cash-flow model will be in accordance with your projected retirement age and future goals. Fill in a form which asks for some basic details: cash flow particulars, financial goals, time horizons and available assets. Step back and let our distinguished team of financial experts do some number crunching on your behalf. Shortly, we get back to you with a detailed recommendation report that’s aligned with your goals. With another cycle of discussions and analysis (if necessary), a final draft is presented to you. A final discussion of this plan happens, and we explain the process of execution if you wish so. For a service that has so much to offer, its price for the time-being is more than reasonable. You'll be able to draw a proper plan for each of your key financial goals, optimize your investments towards meeting these goals, plan for your contingencies and future cash-flows, be confident about their solidity and attain peace of mind. We believe in keeping things simple and our registration process reflects that. Fill out your contact details below and our team will get in touch with you shortly.